If you have read Walden and think you know Henry David Thoreau guess again. 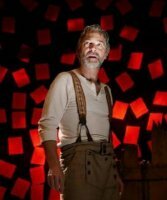 The world premiere Thoreau or Return to Walden written by and starring David Adkins, directed by Eric Hill presents the New England transcendentalist and abolitionist as an eccentric just short of lunacy. 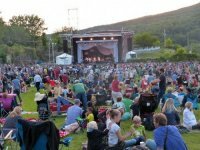 For under $100 you can purchase lawn tickets and see four popular artists at Tanglewood. There is Irish and Sicilian blood on both sides of my heritage. That means a dirt under the fingernails urge to make things grow. But my grandfather Nano had sound advice for the first garden. Ancestors is the first of a suite of poems The Nugents of Rockport. Born within a year of each other, 1850 and 1851, Patrick and Mary wed in 1875 and soon settled in Rockport. Soon after marriage Charles, the first of 13, was born. Initially, they leased land then in the 1920s, George, the heir to Beaver Dam Farm brought property down the road. He became the largest and richest land owner and the political whip of Cape Ann. Determined to add new audiences to Tanglewood, the BSO has created an All Star lineup of Musical Acts for the Historic 2015 Season. Dead at 50 Patrick Nugent of Rockport left his wife Mary with 13 children. As well as one more on the side with her sister. In 1658 on 32 acres of land James Babson built a stone building now the oldest in Rockport. It is all that survives of the once extensive Beaver Dam Farm which my ancestors, the Nugents, leased from 1875 to 1927. Patrick died at 50 in 1900 and Mary raised their family of 13 and managed the farm until her death in 1927. Their son George moved up the street and became the owner of the largest expanse of land on Cape Ann including initially all of Good Harbor Beach. In 1913 the European avant-garde was shown in the Armory Show in New York. In Paterson New Jersey the IWW led a strike. The world braced for war. In one terrible year Mary Nugent of Rockport lost two sons and a daughter. The only difference between the Boston Irish Flynn and Kennedy clans is that the Kennedys made more money selling bootleg booze. Three of four Flynn children graduated from college. Two went on to careers in medicine and one in law. Uncle Arthur sat on the Federal bench. The Kennedys , of course, knew some success in politics. Ice skating on the eve of turning 76 has its treacheries. But also the joy of teaching to the toddlers potential future Bruins. 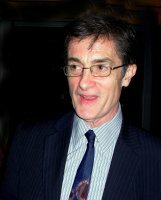 Roger Rees, who has died following a medical procedure in May, had a long association with the Williamstown Theatre Festival. The renowned Tony winning actor/ director first came to Williamstown as an actor. From 2004 to 2007 he was the artistic director of WTF. He returned last summer for a revival of the Kander and Ebb musical The Visit which is currently on Broadway starring Chita Rivera. On Monday nights a group of artists meet for dinner and gossip at Sushi House. Great food and margaritas served by Joy with just that. In the busy summer season there's a lot to talk about. Eric Rudd had hosted his annual Beach Party on Eagle Street. Fun stuff, news of exhibitions, projects and book launches. Then it got real dark. On the way to Ipswich for a birthday party. Renting the hockey rink with pizza to celebrate. My grandfather and two Nugent in laws set a world record in 1898. On August 20, 2012 Wynton Marsalis shared an appearance at Tanglewood with bass player Christian McBride. Last night he returned to Ozawa Hall with Jazz at Lincoln Center Orchestra. This superb group of New York based musicians presented a program of traditional big band music from the 1930s and 1940s in the first half and works by members of the orchestra, including Marsalis, in the second. The oldest of seven children from an immigrant family in Brooklyn Dad was the first to attend college. With a pharmacy degree he worked three jobs to help support the family. He left home to focus on the goal of becoming a surgeon. Known for her recent role as Billie Holiday, multiple Tony award winning actress and singer, Audra Mcdonald takes center stage at Tanglewood on July 19. Mom married under one condition. That after their internships and residencies the young doctors would return to Boston and her family. Josephine and James Flynn were shocked that their daughter married an Italian even though he was a surgeon. Dad eased into it with pipes on the porch.